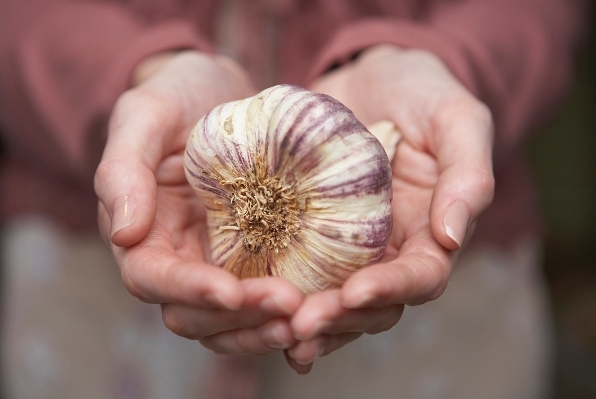 For over 5,000 years garlic has been used as food, medicine, an aphrodisiac and magic potions. 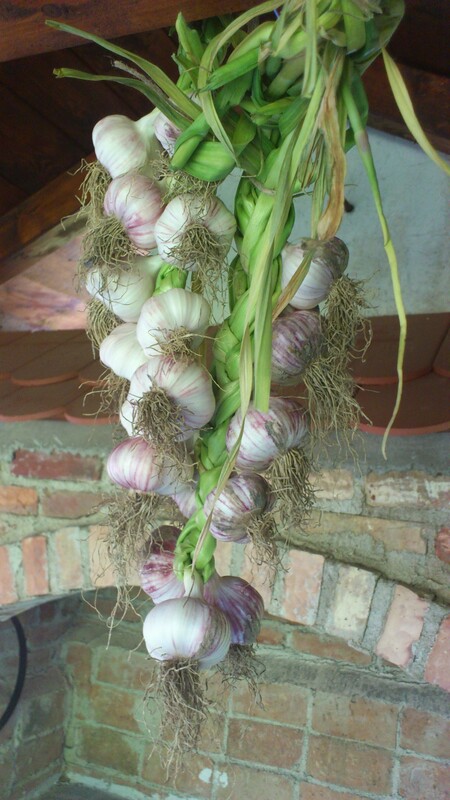 Garlic warded off the evil eye, was hung over doors to protect medieval occupants from evil, gave strength and courage to Greek athletes and warriors, protected maidens and pregnant ladies from evil nymphs, and was rubbed on door frames to keep out blood thirsty Grey Duck Garlic, Lorez Italian garlic bulbs by barn door handlevampires. Garlic clove pendants hung around the neck protected you from the sharp horns of a bull, warded off local witches, kept away the black plague, and even prevented others from passing you (or your horse) in a race. Garlic is only found in cultivation, but researchers consider Central Asia to be its place of origin which is also home to Allium longicuspis. Some believe this plant to be a wild ancestor while others believe it to be the same species. It was probably used in Central Asia since Neolithic times as a food flavouring and seasoning. Although many of the about 700 species of genus Allium are native to Central Asia, the diversity of the forms spread from the Himalayas to Turkestan. It is believed that the ancient Chinese were the first to cultivate it. 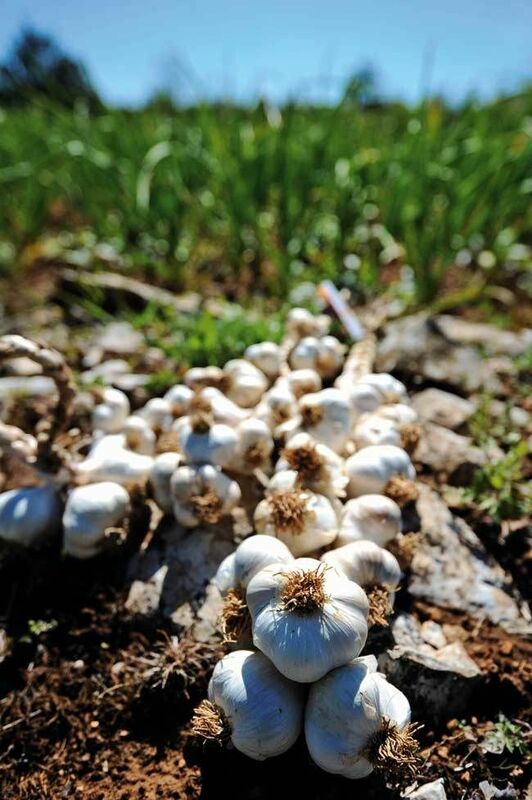 Garlic spread across the world more than 5000 years ago; before recorded history. We can not talk about garlic, and forget to mention vampires; croatian most famous vampire, also known as first european vampire…. The first document on Grando, dating back to the 17th century, was written by his contemporary Janez Vajkard Valvasor, a Slovenian travel writer and historian. In his 15-tome work, The Glory of the Duchy of Carniola, which was published in 1689 in Germany, Valvasor tells the story heard when he visited Kringa. According to the legend, for 16 years after his death and burial Grando terrorised his former fellow-villagers, notably his widow. At night he wandered the area knocking on the doors of houses, many of whose inhabitants later died, it said. The lustful demon paid regular visits to his widow, forcing her to continue fulfilling her marital duties. Eventually, in 1672, a group of nine local men decided that they had to put an end to the menace. Upon opening his grave they saw Grando, his body intact, smiling at them. After the first attempt to drive a hawthorn stake through his corpse failed because the wood rebounded, the bravest of the nine eventually managed to decapitate the body, bringing to an end Grando’s reign of terror, the legend said. “Grando already has all the characteristics of future literary vampires — who appear some 150 years later — he is a cynic, challenges both civil and church authorities and is sexually active,” explains Boris Peric, a writer who investigated the issue. “The story was later taken and quoted by various authors from theologians to historians,” he said, adding that German writer Herman Hesse published an account of Grando in an anthology early in the 20th century. Peric says he believes Grando served as one of the models for his future literary counterparts, possibly even for Irish writer Bram Stoker’s Dracula, which is said to be inspired by cruel Romanian Prince Vlad Tepes the Impaler. Numerous studies conducted on garlic (Allium sativum L.), have proved the presence of antioxidants, phenolic compounds, sulfur compounds and several vitamins.Used liberally in many dishes, garlic adds flavour to everything from soups to homemade sausages. 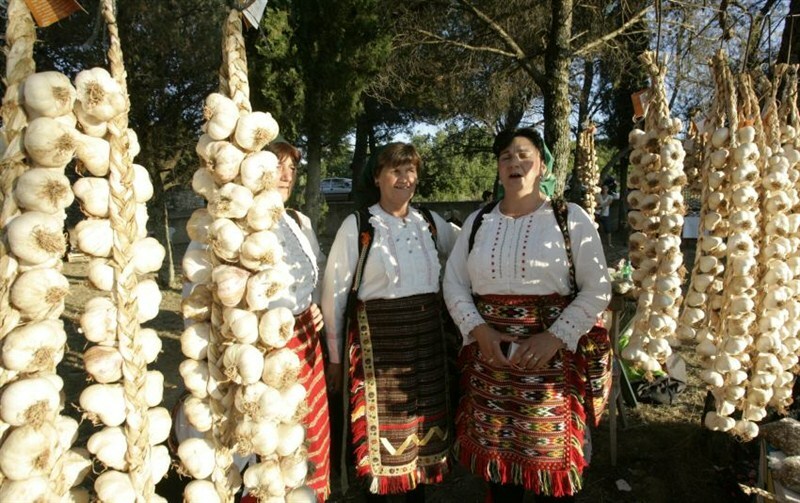 One passionate Croatian cook says it’s hard to imagine a single household in all Croatia without garlic. This easy Croatian mussels recipe is popular along the Dalmatian coast where there is a wealth of seafood and a strong Italian influence. This is known as dagnje na buzaru, or školjke na buzaru. Compare this with Croatian Shrimp Buzara. 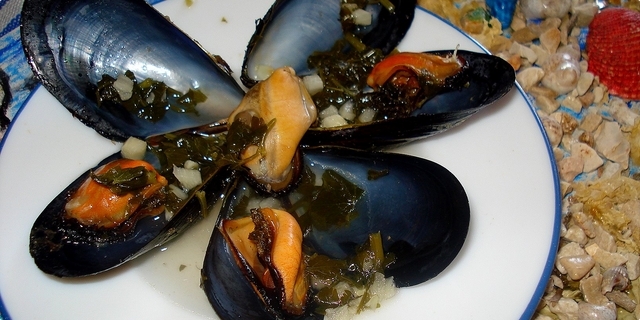 “Buzara” in Croatian literally means “stew,” but buzara-style cooking simply means that some type of shellfish or crustacean is cooked with olive oil, wine, garlic, breadcrumbs and fresh herbs. Scrub and debeard the mussels. The “beard” is the hairy thing hanging from one side of the shell. Pull it off with a side-to-side motion. In hot pan, add mussels, olive oil, parsley, and garlic. Let this simmer until mussels just begin to open. Stir, lower heat and add 1 1/4 cups white wine, coarse sea salt, and black pepper. Be careful not to oversalt because mussels from the sea are naturally salty. Let all the shells open, stirring occasionally. If, by the end of cooking, any shells do not open, discard them. 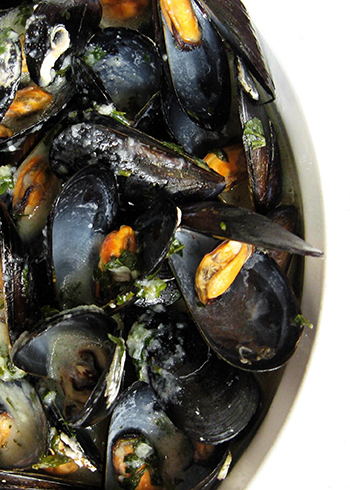 Turn the heat back to high to finish the cooking quickly without toughening the mussel meat. Mix 1/2 to 3/4 cup fresh breadcrumbs into the broth, but you want to leave some liquid present. Serve with crusty bread to soak up the broth. 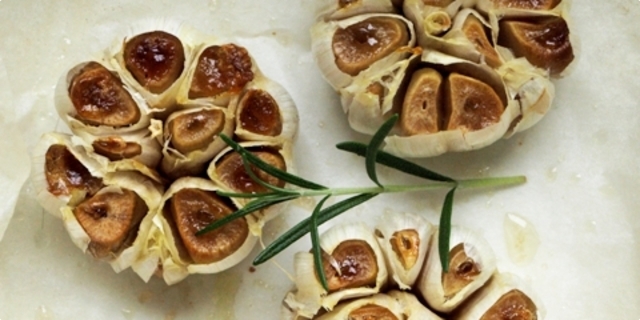 We do hope that you love garlic as we do, especially roasted one, but please remember. Your breath will not be attractive, so only solution is to feed all around you with this beautiful food.